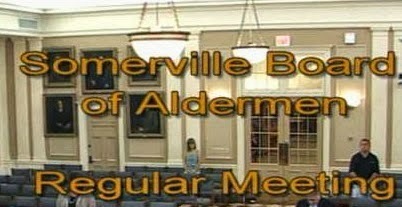 The Board of Aldermen returns to its regularly scheduled meetings this Thursday at 7:00 PM after spending the last two weeks deliberating on the FY2015 budget. The meeting will take place in the Aldermanic Chambers of City Hall and the agenda has been posted, per the Open Meeting Law, on the City's meeting portal. You can attend the meeting as it is open to the public, watch it streamed live on the interwebs, or catch a live broadcast on channel 22 (comcast)/channel 13 (RCN). The meeting is also rebroadcast on the same two channels throughout the week.